In 2018 there is a tech stock that is hotter than Nvidia Corporation (NASDAQ:NVDA). That stock is NetApp Inc. (NASDAQ:NTAP). NetApp stock very well could be the Nvidia of the future. Our Luke Lango says the move isn’t over, and that NetApp could soon be trading at $75 or more. It opened on April 13 at about $69 per share. NetApp is a data storage company. It makes a set of devices, filled with memory chips, that aim to move data from dry storage to processing quickly. It also produces data management software, a program called OnTap that lets companies manage this fast memory. Before you hit that buy button, however, it might help to know why NetApp stock is suddenly so hot. The magic term is hybrid cloud. After nearly a decade talking about it, big companies are finally moving their “crown jewels,” their key corporate data, to cloud technology. “Put all your eggs in one basket and watch that basket.” Mark Twain used the line in Pudd’nhead Wilson, but it was originally said by Andrew Carnegie, in a talk to business students in Pittsburgh. For most of this decade, the key basket for large enterprises remained client-server systems in their corporate data centers. Cloud, they felt, was for non-essential data and customer-facing systems. But now these companies have finally decided to switch key data to cloud standards, making it more useful to management. NetApp is a key to that transition. Its memory devices sit at the front end of a corporate data center, or a corporate cloud. Its software is used to manage that memory and bring the data forward for use. Until recently NetApp was a slow-growth, even a no-growth company. Revenue for fiscal 2017 was 10% short of where it was in fiscal 2015. But recently business has picked up. Revenue was $1.325 billion for the quarter ending last July, $1.422 for the quarter ending in October, and $1.523 billion for the quarter ending in in January. For the quarter ending in April, it’s due to come in at $1.6 billion. Watch it beat that number. At its analyst day on April 5 the company predicted it could sustain 15% annual growth for the next three years, even doubling its dividend to achieve a yield of 3%. There is a key to the future in that analyst day presentation, a troubling one. Rather than seeing its new profitability as a reason to invest, management sees this as a reason to cash out. It plans to buy back stock as well as increase the dividend, and to have a “disciplined approach” to acquisitions, meaning don’t expect big deals. The fact is that while hybrid cloud is an important transition, it’s a one-time thing, and not nearly as big a deal as analysts thought it would be early in the decade. It’s the back end of the cloud transition, the hard work that (companies hope) need only be done once. This is not, in the end, like Nvidia, whose graphics chips are building new markets like artificial intelligence. This is a corporate transition that, once complete, will require only maintenance. NetApp management is being wise here, and honest. 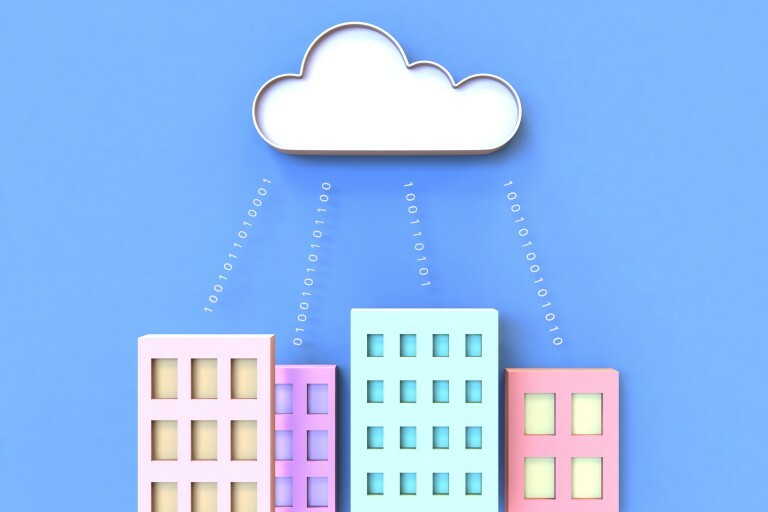 The cloud revolution has already pushed most corporate data into the new cloud architecture. Hybrid cloud is a key piece, but it’s a relatively small piece, a matter of catching up with a revolution that has already happened. The NetApp boom, in other words, has a sell-by date. If you buy now, know that you’re going to sell later. Article printed from InvestorPlace Media, https://investorplace.com/2018/04/netapp-stock-great-trade/.